M. R. Shah, J. – Rule. Mr. K.M. Parikh, learned advocate waives the service of notice of rule on behalf of the respondent. 2. In the facts and in the circumstances of the case and with the consent of the learned advocates appearing on behalf of the respective parties, the present petition is taken up for final hearing today. 3. By way of this petition under article 226 of the Constitution of India, the petitioner has prayed for appropriate writ, order and/or direction quashing and setting aside the impugned notice of reassessment issued under section 147 of the Income-tax Act, 1961 (hereinafter referred to as “the Act”) (annexure A to the petition). 3.1. That the petitioner-assessee filed its original returns of income for the assessment year 2005-06 under section 139 of the Act declaring a total income at loss of Rs. 21,76,52,625. That the said return was duly processed under section 143(1) of the Act. That, thereafter, the case was taken up for scrutiny assessment and notice under section 143(2) of the Act was issued. That, thereafter, the Assessing Officer passed an assessment order under section 143(3) of the Act on December 29, 2008, making several additions to income under various heads to the income of the company and allowed broad forwarded business losses for the assessment year 1997- 98, the assessment year 1998-99 and the assessment year 1999-2000 (total Rs. 87,88,73,850) as well as other assessment years to be set off and accepted the total income of the company at Rs. nil. That, thereafter, the respondent issued notice under section 148 of the Act on April 27, 2011, reopening the assessment for the assessment year 2005-06. Thus, the reassessment proceeding has been initiated after a period of four years from the order of assessment. That, thereafter, the petitioner addressed a letter dated May 5, 2011, requesting the respondent to supply copy of the reasons recorded and treat the return of the income filed under section 139 as return of the income in compliance with the impugned notice. That, thereafter, the respondent has supplied a copy of the reasons recorded for reopening the assessment on April 11, 2011. That on receipt of the reasons for reassessment, the petitioner, vide its letter dated September 13, 2012, raised objections on the merits and requested the respondent to drop the reassessment proceedings. That, thereafter, by letter dated January 10, 2013, the respondent disposed of the objections, which according to the petitioner, are disposed of without dealing with the contentions raised by the petitioner. 3.2 Being aggrieved by and dissatisfied with the impugned notice for reassessment under section 148 of the Act as also the impugned letter/order rejecting the objections raised by the petitioner against initiation of reassessment proceedings, the petitioner-assessee has preferred the present special civil application under article 226 of the Constitution of India. (ii) to disclose fully and truly all material facts necessary for his assessment for that assessment year. It is submitted that, in the present case, there is nothing in the reasons recorded for reopening the assessment which may indicate that there was any failure on the part of the petitioner disposing fully and truly all material facts necessary for assessment for the assessment under consideration. It is submitted that neither in the impugned notice dated April 27, 2011 (annexure A) nor in the reasons recorded while initiating the reassessment proceedings, nor even while disposing of the objections raised by the petitioner-assessee, it is the case on behalf of the respondent that there was any failure on the part of the petitioner to disclose fully and truly all material facts, necessary for its assessment for the assessment year under consideration. It is further submitted that not only that even in the affidavit-in-reply filed by the respondent filed in the present petition, even there is no such allegation. It is submitted that, therefore, in the aforesaid premises the assumption of the jurisdiction under section 147 of the Act by issuing notice under section 148 of the Act is without jurisdiction. 3.4 It is further submitted by Mr. Soparkar, learned advocate appearing on behalf of the petitioner, that apart from the fact that there is no allegation that there was any failure on the part of the petitioner to disclose fully and truly all material facts necessary for its assessment for the assessment year under consideration, in fact, full disclosure was made by the assessee at appropriate stage and in appropriate year. It is further submitted that even the issue on the basis of which the assessment is sought to be reassessed was considered by the Assessing Officer while passing order of assessment. It is submitted that, therefore, the impugned notice and/or initiation of proceedings for reopening the assessment would tantamount to reviewing the earlier order which is not permissible. 3.5 Mr. Soparkar, learned advocate appearing on behalf of the petitioner, has also tried to make the submissions on the merits in support of his submission that even on the merits also the respondent is not justified in reopening the assessment. However, for the reasons stated hereinabove, as we are of the opinion that the conditions for reassessment as provided under section 148 of the Act are not satisfied, we do not propose to further enter into the issue on the merits. 3.6 Mr. Soparkar, learned advocate appearing on behalf of the petitioner, has heavily relied upon the decision of the Division Bench of this court in the case of Kanak Fabrics v. ITO  359 ITR 447 as well as the recent decision of this Bench dated June 24, 2013, in the case of Gujarat Lease Financing Ltd. v. Dy. CIT  360 ITR 496/36 taxmann.com 359/219 Taxaman 70 in support of his above submission and in support of his prayer to allow the present special civil application and quashed and set aside the impugned notice of reassessment issued under section 148 of the Act. 4. Mr. K. M. Parikh, learned advocate appearing on behalf of the Revenue, has opposed the present special civil application and placing reliance upon the averments made in the affidavit-in-reply, it is requested to dismiss the present petition. Mr. Parikh, learned advocate appearing on behalf of the petitioner has further submitted that the Department has dealt with all the objections raised by the petitioner and it has been decided to proceed further with the reassessment only thereafter. It is submitted that all the contentions on behalf of the petitioner on the merits are required to be dealt with and considered while considering the reassessment proceedings and the petitioner shall be given ample opportunity to submit the case on the merits. Therefore, it is requested to dismiss the present special civil application. 6. At the outset, it is required to be noted that, in the present case, notice under section 148 of the Act has been issued on April 27, 2011, in relation to the assessment year 2005-06. Hence, admittedly, the same has been issued after expiry of a period of four years from the end of the relevant assessment year. 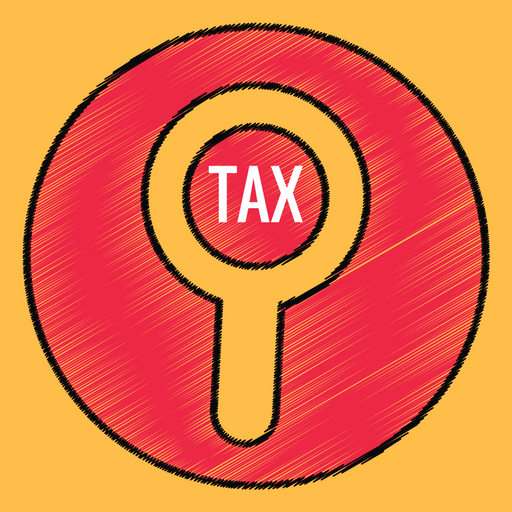 Under the circumstances, in the light of the proviso to section 147 of the Act, in case, where assessment has been framed under section 143(3) of the Act, no action can be taken under section 147, unless income chargeable to tax has escaped assessment by reason of the failure on the part of the assessee to disclose fully and truly all material facts necessary for his assessment, for the assessment year. The learned counsel appearing on behalf of the respondent-Department is not in a position to dispute the above. Even otherwise, the proviso to section 147 of the Act is very clear. 6.1 Considering the facts of the present case, in the light of the aforesaid legal position, a perusal of the reasons recorded shows that there is not even a whisper to the effect that income has escaped assessment on account of any failure on the part of the petitioner to disclose fully and truly all material facts necessary for its assessment. Even while considering the objections raised by the petitioner and replying to the petitioner, there is no such case pleaded on behalf of the Revenue even in the affidavit-in- reply filed by the respondent, there is no allegation of any such failure on the part of the petitioner. The learned counsel appearing on behalf of the respondent is not in a position to satisfy the court with respect to compliance/satisfaction of the requirement of the proviso to section 147 of the Act. Under the circumstances, it is apparent that the requirement of the proviso to section 147 are not satisfied. Secondly, in the absence of any satisfaction having been recorded by the Assessing Officer that the income has escaped by reason of the failure on the part of the petitioner to disclose fully and truly all material facts necessary for its assessment for the assessment year under consideration, assumption of jurisdiction under section 147 of the Act is failure and, therefore, the impugned notice under section 148 of the Act cannot be sustained. 6.2 Identical question came to be considered by the Division Bench of this court in the case of Kanak Fabrics (supra) and in the absence of any such satisfaction by the Assessing Officer, the Division Bench of this court has quashed and set aside the notice of reassessment under section 148 of the Act. 7. In view of the above and for the reasons stated above and on the aforesaid ground alone, the present petition succeeds. The impugned notice dated April 27, 2011, at annexure A to the petition is hereby quashed and set aside. Rule is made absolute accordingly. In the facts and circumstances of the case, there shall be no order as to costs. This entry was posted in Section 147 and tagged 360 ITR, Gujarat High Court, In favour of Assessee, notice for reassessment, reassessments u/s 147.